3.) Close the software source window, then click Reload in Synaptic Package Manager window. 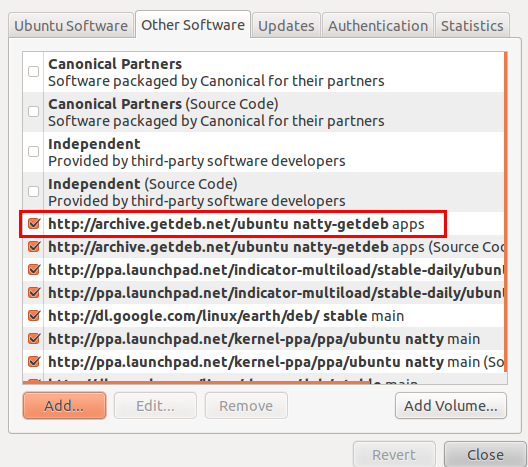 Now, the packages in GetDeb.net for Ubuntu 11.04 Natty is available in Ubuntu Software Center. 3 users responded in " Access GetDeb.net packages in Ubuntu-Software-Center in Ubuntu 11.04 "